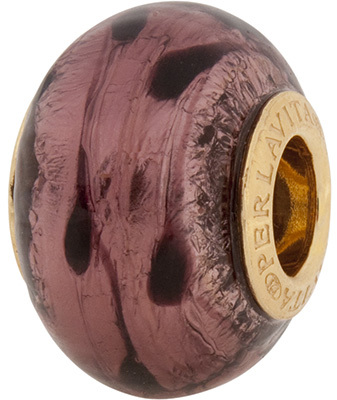 Teardrop shaped chocolate accents adorn this amethyst and silver foil PerlaVita Murano glass bead. Compatible with most European bracelet systems, this rondel shaped bead is approximately 14mm x 12mm with vermeil inserts. Authentic Murano Glass. Complete with authenticity card.